The pairing between pizza and beer is a statement difficult to destroy. Above all thinking about drinking a glass of wine paired with the queen of the Mediterranean diet, horrifies many people, but have you ever tried it? The marriage wine-pizza is not that risky and can work very well… it is sufficient to choose the right wine! 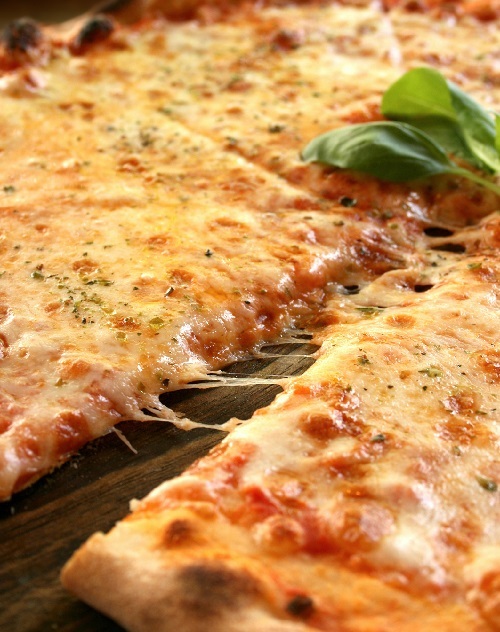 Wine and pizza are the most famous products of Italy, and why don’t we pair them together for a 100% made in Italy meal? The wide panorama of the oenological production of Italy offers a variety of wines with different structures and organoleptic properties to supprot the perfect pairing pizza-wine. The secret, in fact, to not cause the revolt of your taste buds is to choose the right wine, getting the right properties and taste according to the ingredients on your pizza. Basically, it is easier to pair white wine, that is light and fresh, because the tomato on the pizza, with its high acidity, becomes pretty unpleasant with the iron taste of the tannins in the red wines. White wines, more or less structured, are able to balance better the acidity, softening the fats of mozzarella. The perfect combination of its simple ingredients (bread, mozzarella “fior di latte” and tomatoes) is perfect with white wines with notes of fruits that enhance the tomato and the sweetness of mozzarella “fior di latte”. Try a white Friulano, mineral and floral, perfect with the herbaceous and sweet taste of basil. Or a Gavi DOC with its delicate perfumes enriched with fruity notes, dry and harmonious to the palate, or a Falerio DOC with notes of apple, banana and pineapple. The taste is dry and acid, perfect to clear the mouth. A rich and savory pizza, rich in fats, needs wines able to clean the palate as the white wines with a medium structure and richness. Sommeliers agreed to pair Verdicchio di Jesi, a sapid wine perfect for its notes of field flowers, cedar, and tropical fruit with a fresh and dry taste. As an alternative, a Vermentino di Gallura. A richer and more savory pizza, rich in fats, needs wines able to clean the palate as the white wines with a medium structure and richness. Sommeliers agreed to pair Verdicchio di Jesi, a sapid wine perfect for its notes of field flowers, cedar, and tropical fruit with a fresh and dry taste. As an alternative, a Vermentino di Gallura. Salted, spices and rich pizzas needs well structured wines. Perfect are Verdicchio, with its marked mineral note, Tocai Friulano and Greco di Tufo. Still, mineral and well structured wines. Numerous pizzas with grilled or backed vegetables, are generally more delicate and less salted. For this reason we can easily pair a fresh and young wine as Prosecco di Valdobbiadene, better if it is still, not too sparkling, with herbaceous and fruity aromas, focusing on Brut with a low sugary level. Ham, mushrooms and artichokes as you like. With cold cuts the situation is different! The strong and salty taste of the cold cuts and the in oil food want red wines. you can choose young wines as a Novello, a Marzemino, a Chiaretto del Garda with its taste of matured fruits, spiced and mineral. In the mouth it is fresh, round with thin tannins. Ham, mushrooms, small artichokes and olives or pizzas with grana, pecorino, speck or bacon. The wide range and complexity of the tastes are the perfect occasion to pair rich red wines, able to balance the strong tastes of the seasonings. If you love pizzas with a strong taste, try wines with similar strong tastes, as a Raboso del Piave Doc, a Lambrusco, a Merlot of Euganean Hills or a fruity Barbera. Why don’t you pair fish with red wine?